Premium-grade sampler and controller with Decksaver cover. Whether you run the Mikro Mk3 as a VST, or use it to host other Native Kontrol System Plugins, integrating with your setup couldn't be simpler. The only thing left to do is to express yourself with the 16 backlit, velocity-sensitive pads. More dynamic control means more dynamic music. Reliable N.I. build quality will give you years of beat-making ahead, whether on the road or at home. Just grab a laptop, a USB cable, and the Mikro; with no PSU needed, you can make music anywhere. 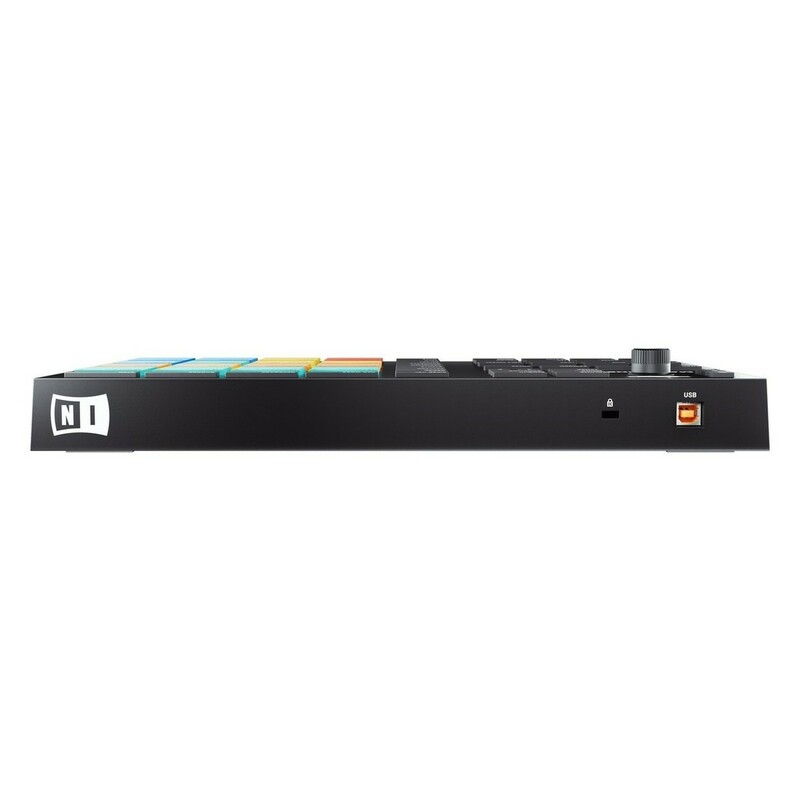 The Mikro Mk3 comes complete with a dedicated Decksaver cover which is custom-moulded to protect the Mikro Mk3 and all its controls. Get three expansions for your Maschine. Expansions offer new ways to create music via genre focused bundles of presets, samples, samples and one-shots. It's the perfect way to kick start your music making. When purchasing Native Instruments Maschine Mikro MK3 with Decksaver Cover you will receive three expansions of your choice from a range of styles and genres. Just register your Maschine during the month of April 2019 and activate voucher sent to your email address. Just log in, register your product, get your expansions, and start creating. The 16 velocity-sensitive pads acts as the main control for your sounds and modulation, allowing you to create rhythms, bass lines, chords and melodies on the fly. 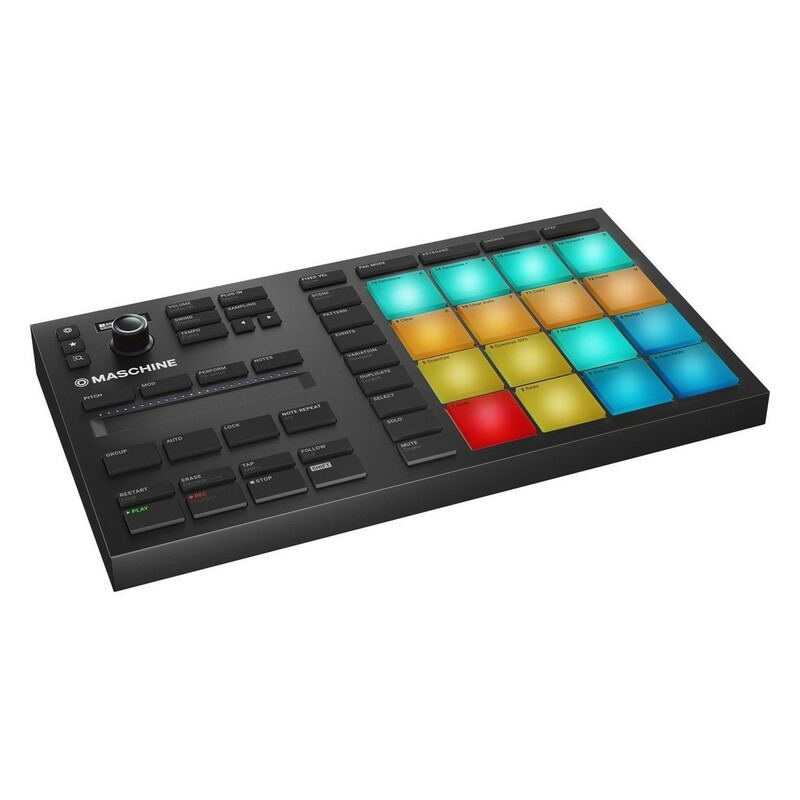 The Maschine Mikro MK3 is highly versatile, allowing you to use it as a high-performance sampler or a standalone production unit. A new multi-function Push Encoder replaces the navigation buttons of the Mk2, and new buttons are added to control Pitch, Mod, Perform and Notes. New intuitive performance makes it ideal for both studio and stage applications. 24 built-in studio FX are included, spanning from compressors and saturators to reverbs and filters. Cutting-edge effects such as Grain-Delay, Ice Verb and Frequency Shifter are also included for adding colour to your sounds. 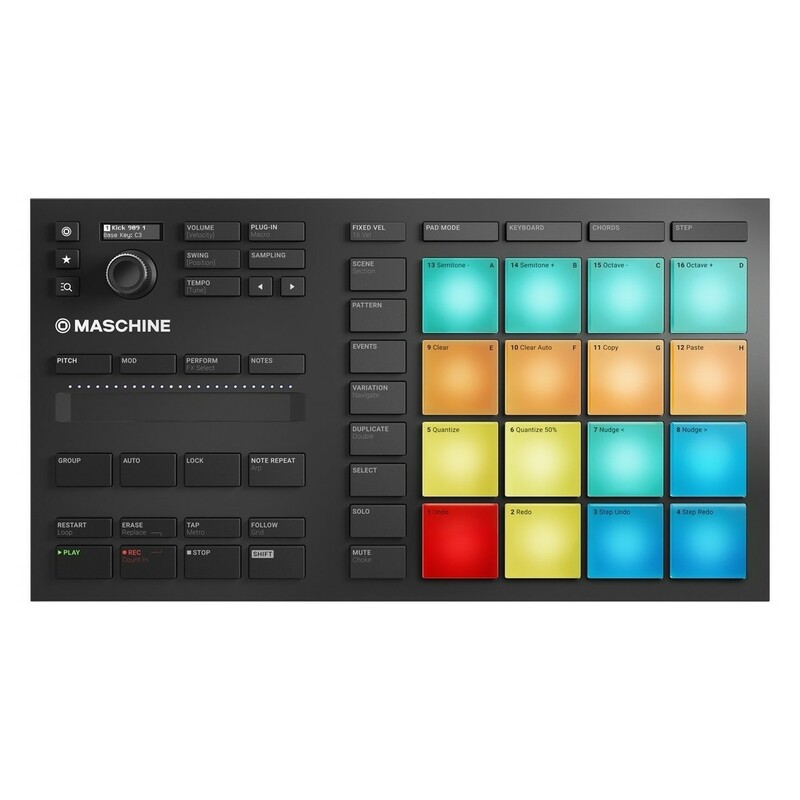 The Maschine Mikro MK3 comes complete with the Maschine Factory Selection which is a sound library comprised of samples, one-shots, loops, sample instruments, presets, drum kits and more. The Factory Selection measures at 1.6GB in size, giving you everything you need to get started straight out of the box. The genre-defying sounds and instruments span from classic kick drums and snares to cutting-edge synthesized sounds, meaning you'll never fall short on inspiration. 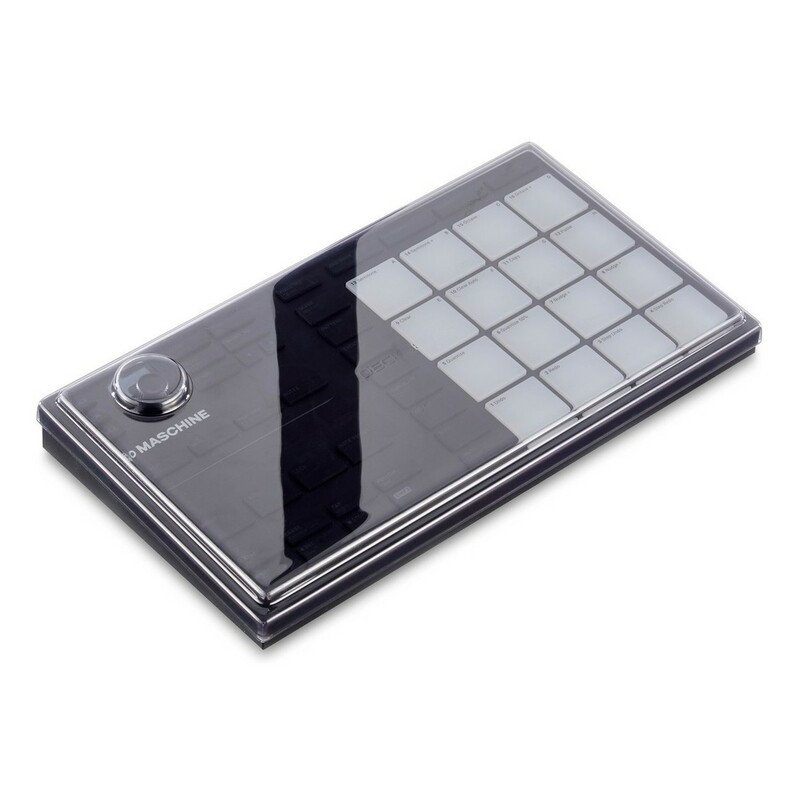 The Decksaver Native Instruments Maschine Mikro Mk3 Cover features an ultra-durable polycarbonate shell, designed to protect from dust, liquid, particulates and accidental impact damage. It will also protect against superficial damage such as scratches or bumps while on the move. The high quality smoke/clear sheen lets provides transparency, allowing you to see your equipment at all times.